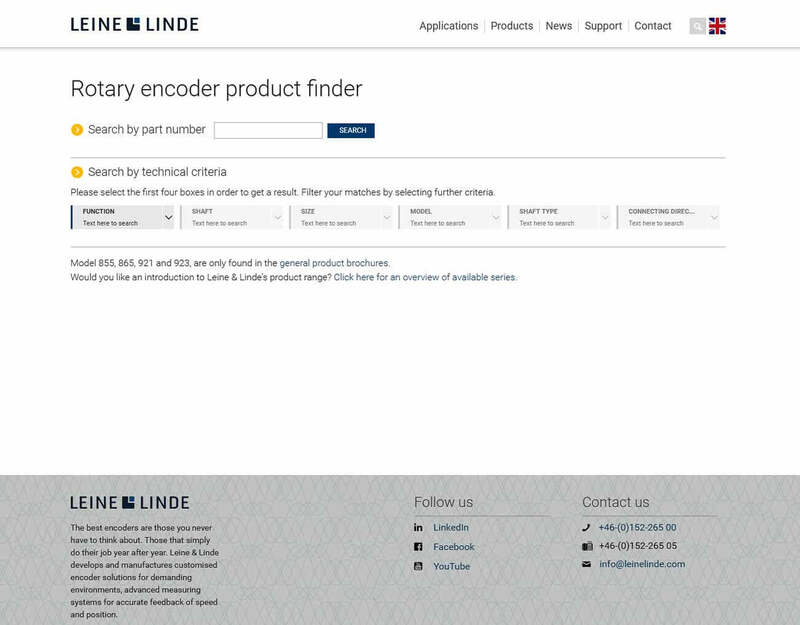 In order to simplify the rotary encoder search process, Leine & Linde now offers an Encoder Selection Tool on its website. 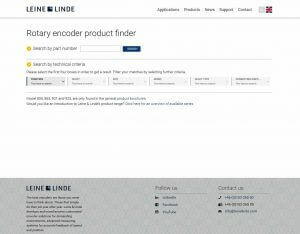 This new feature allows the visitor to choose the desirable features of a rotary encoder, then after submission, the tool will generate an encoder ID number and datasheet with specifications, pin out, mechanical drawings and any additional information needed. Technical criteria such as Product Series, Shaft, Size, Model, Shaft Size and electrical Connection are all available options to use as filters during a search. Found on the site’s “Product” pages, this tool allows users to generate the information they need in a quick and efficient manner. 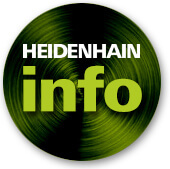 The tool also allows for users to enter a part number right in to the search tool, then leads them directly to the necessary page.